KTM will soon launch the all-new ADV version of the 390 Duke in the Indian market later this year or early next year. The all-new bike was confirmed by KTM last year and will be unveiled later this year. Spy pictures of the near-production product are already out and they do give a clear image of what the motorcycle will look like. Among the test bikes, a heavily camouflaged model with luggage panniers and a top-box was spotted testing. It is quite possible that KTM will offer such accessories from the start of initial days or the bikes were just getting tested with the luggage panniers in the real world situations. KTM 390 ADV will be mostly used by long-distance tourers who would mount such luggage panniers on the bike. It is expected that KTM will make the 390 ADV ready with hooks and braces to mount such luggage panniers for the target customers. The KTM 390 ADV is based on the 390 Duke and will share most of the parts with the naked bike. 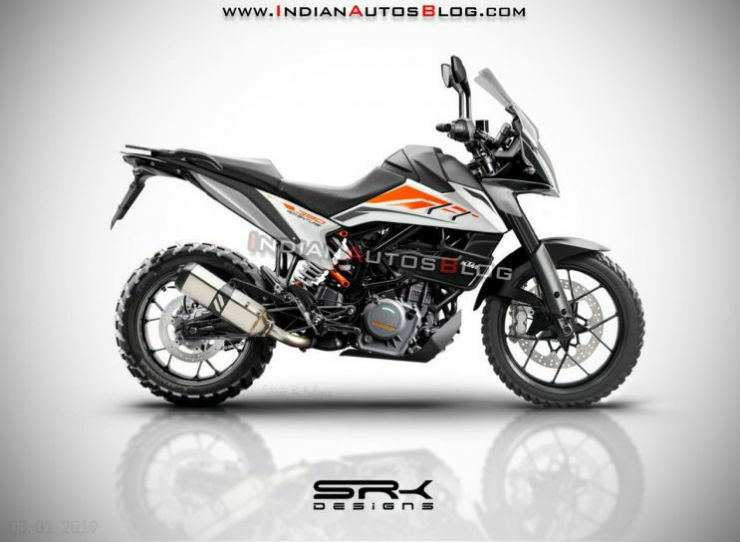 However, KTM has made enough changes to give the upcoming adventure bike its own identity. The affordable adventure bike from KTM will get long travel suspension that will make it perfect for the rough roads. The bike will get a taller windscreen to negate the effect of windblast. 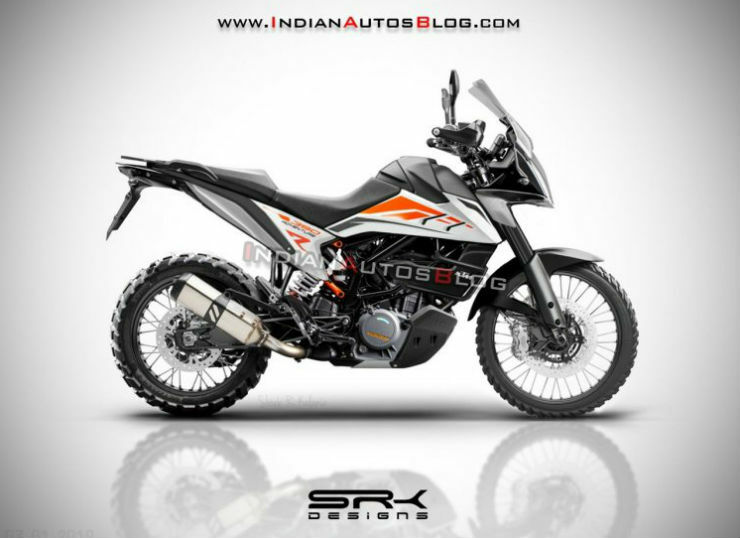 This rendered image by IAB perfectly shows how the fully-loaded KTM 390 ADV will look like. KTM has also made changes to the frame of the bike but it will remain exposed like the 390 Duke. The tank design is expected to updated and will be shaped to hold the tank bags. It is quite possible that KTM uses the metallic tank in the 390 ADV that can be utilised by the tank bag’s magnetic straps. Other than that, the seat height will be higher than the 390 Duke and so will be the ground clearance. The upcoming bike is also expected to get a tougher engine guard to save the crucial parts of the engine from any rock hit. It will get a higher mounted exhaust that will help it to wade through deeper water. Also, the full LCD coloured instrument cluster is expected to be similar to the 390 Duke. The KTM 390 Duke was first seen with the spoked rims but the latest spy pictures show that the bike with alloy wheels. It is possible that KTM will offer two versions of the 390 ADV in the market and one of them will come with spoked rims for added ruggedness. However, spoked rims do not offer tubeless tyres in the affordable motorcycles and that is a major disadvantage of them. The upcoming bike is expected to get the same 373.2cc single-cylinder, liquid-cooled, DOHC, 4-valve engine. It develops a maximum power of 43.5 PS and peak torque of 35 Nm in the 390 Duke and RC 390. KTM may re-tune the engine for a stronger mid-range. The six-speed transmission is also expected to get re-tuned to suit the ADV bike. 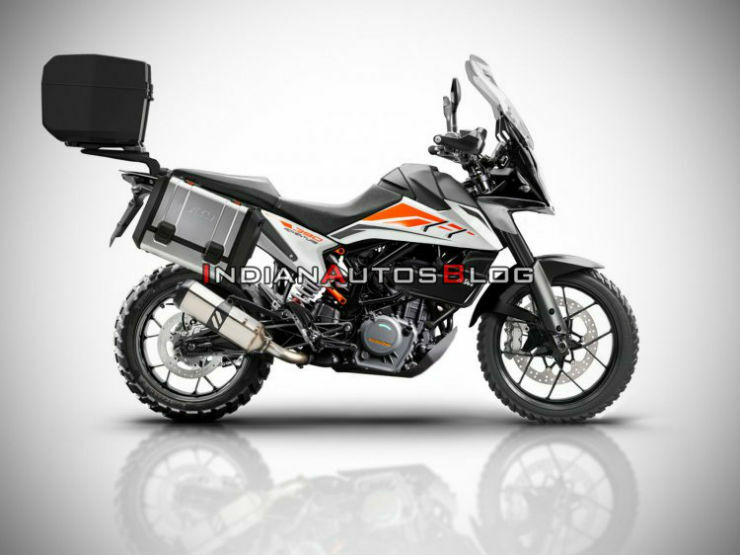 The KTM 390 ADV will take on the BMW G310 GS directly.